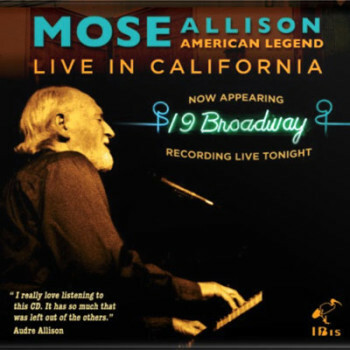 Recorded live at the 19 Broadway club in Fairfax, Ca., this will be Mose’s final release. I am honored to have played drums AND produced this fine document of Mose as he is rarely heard: in an intimate club setting. You will hear an audience that is totally immersed in Mose and the trio. This Phenomenon would almost always happen when Mose performed with his trio live in clubs – but then the music never left the room!